The fourth generation Honda Jazz gets a new design language and sports increased dimensions. Images are credit to Carscoops. The current generation of Honda Jazz, dates back to 2013. 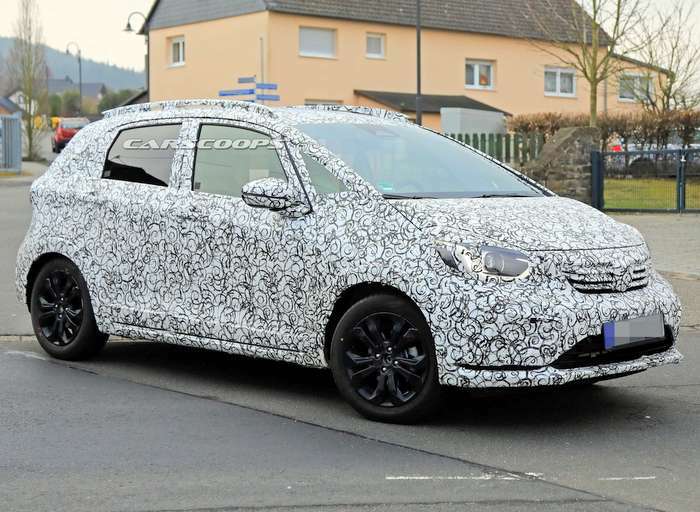 One of the best selling hatchback globally, Honda is currently working on the new generation of Jazz, which was recently spotted on test near Nurburgring in Germany. Through the car is completely camouflaged, new styling was evident on the exterior. The exteriors of the new Jazz feature a more prominent bumper design, new LED projector headlamps, restyled front grille with horizontal louvers. At the rear, once can see the new tail lamps and revised bumper. The test mule also receives a highly raked windscreen. It sits on 16” alloy wheels fitted with Dunlop tyres. It also seems to get increased dimensions. Both length and width seem to have increased, thanks to a new platform. This would also mean added interior and luggage space. In terms of safety, 2020 Honda Jazz will be offered with multiple airbags, ABS, EBD, lane assist, Hill assist, park assist, etc. It will also come with a choice of petrol and diesel engine options. These could be in the form of updated 1.2 liter petrol and 1.5 liter diesel. These engines are on offer with existing Jazz, but will be updated to meet BS6 emission norms. A hybrid / electric variant of new Jazz could also be launched, as the same has been spied on test in India. 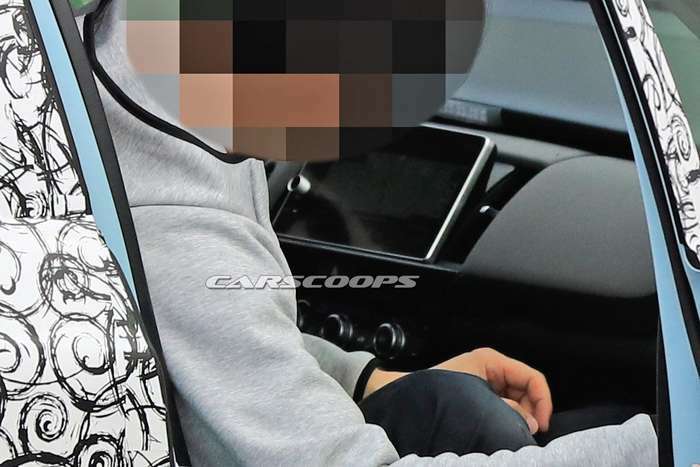 The new Honda Jazz is expected to be revealed at the Tokyo Motor Show later this year. It will be first launched in Japan and Europe. India launch could take place next year. 2020 Honda Jazz could make its India debut at the Auto Expo next year. Once launched it will take on the likes of Maruti Baleno, Hyundai i20 and the upcoming Tata Altroz. For detailed photo gallery in hi-res, head to Carscoops.